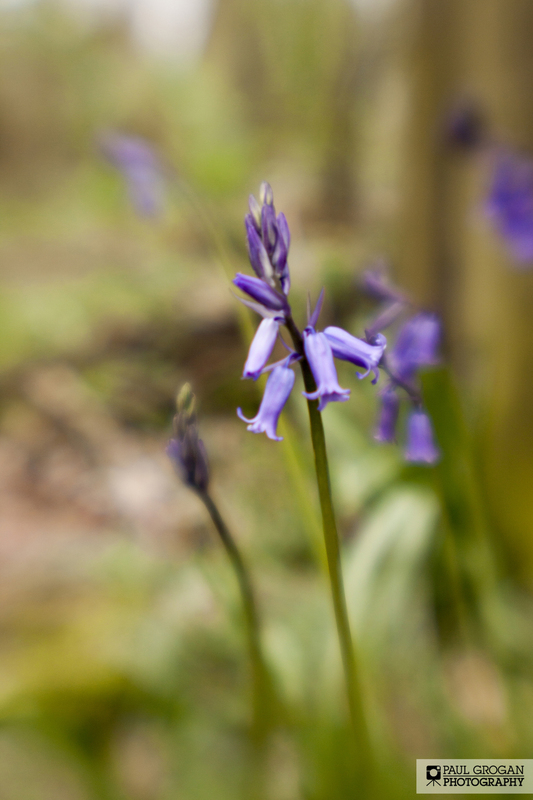 So spring is in the air and the Bluebells are starting to carpet our woodlands with a bluey-purple haze... I got out a couple of weeks ago for an hour to the local nature trail, the woods surround the old railway line from Radcliffe to Prestwich. Less well kept than some locations, but quite rugged and natural about them. With the sun threatening but not breaking through the cloud cover, I got down to work with my telephoto first, then I thought it was a great opportunity to try out my Lensbaby Spark with the single glass optic. Not fully in flower just yet. I liked the contrast of the fence post against the blue. There are two types of bluebell found in the UK, native and Spanish bluebells. Cross-breeding between the two species means you may spot flowers which combine traits from both. I love the feel it gives, not quite sharp but gorgeous bokeh. Did you know that most bluebells are found in ancient woodland where the rich habitat supports a whole host of species. Ancient woodland includes woods from the 17th century and some may even be remnants of the original wildwood that covered Britain after the last Ice Age. 4. According to folklore, hearing a bluebell ring is a sign of impending death! 6. Bees can 'steal' nectar from bluebells by biting a hole in the bottom of the bell, reaching the nectar without pollinating the flower. My son, Sam who'd come along had ago with my camera and managed this beauty.